Buckeye Popper - 1.5 oz. 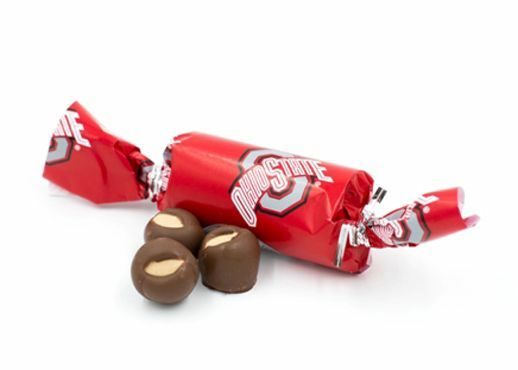 Creamy peanut butter centers covered in milk chocolate--made to look like real buckeye nuts. This favor holds 3 Buckeyes. Please call 866-465-5781 or email us if you'd like additional Buckeye favor ideas. We can do favor bags, we have several options for favor boxes, and we can try to match your party colors.